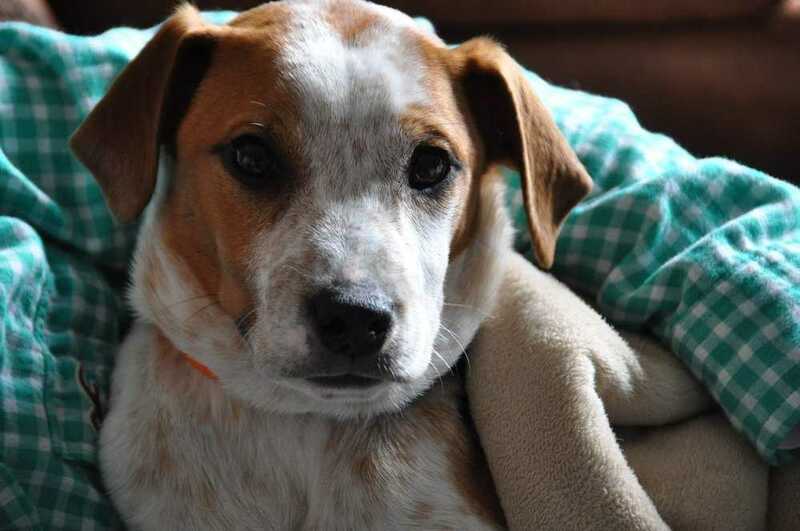 Landon is a great looking pointer/hound mix puppy who weighs 19 pounds. He and his brothers are 3 months old and bouncing with puppy energy. Landon sleeps thru the night in his crate and is a very happy boy. He is good with children of all ages. He rides along in the car with no problem. We have had Landon for one week and he is a joy, so happy and lovable. His tag is always wagging! You can apply to adopt Landon at https://www.mostlymuttz.org/adoption-application/.